Hair transplantation is an incredibly effective treatment for hair thinning and baldness. It is based upon the sound scientific principal of donor dominance. Donor dominant hair is that which is found in the rear and sides of the scalp. This area is called the fringe and it usually continues to grow throughout our life time. This hair when transplanted at the problem area, continues to grow like normal hair. In terms of success, this method is without peer. Follicular Unit Extraction (FUE) is a semi invasive surgical procedure which involves removing robust hair follicles from a donor area (which is normally at the back of the scalp, where hair tends to be thicker) and they are then transplanted directly onto the bald or thinning areas of the scalp.Hair transplantation is normally carried out under local anesthetic which can help to eliminate risks and recovery time associated with the other more invasive procedures requiring a general anesthetic. Because FUE is minimally invasive, there are no visible scars and a return to a normal life / work can be achieved the following day. Thanks to surgical advancements, patients can leave the clinic directly after the procedure. General skin healing takes around 7 days, after which any associated swelling or redness across the treatment areas will have disappeared. What is Follicular Unit Strip or FUT Hair Transplant? This technique of hair transplant involves removing strips of hair from donor areas at the back or sides of the head. The surgeon then removes the individual hair units (comprising of 1-3 hairs) and implants these individually into the area of thinning or baldness. The incisions that the surgeon uses to implant the hairs are very tiny; sometimes compared to pin pricks, this leads to a very natural looking hairline. The procedure takes place under local anesthetic meaning you will be awake throughout but will not feel any pain. From start to finish, it normally lasts between 4-7 hours depending on the area to be treated. After the hair transplant, your hair may become sore and may need to take medications to heal and relieve the pain for several days. Antibiotics may also be prescribed to reduce the risk of infection and inflammation. You can resume your work after surgery and it is normal to notice hair fall after two to three weeks of treatment after which new hair starts to grow. 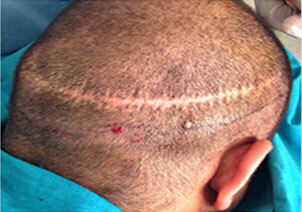 Many patients can notice new hair growth in six to nine months after the surgery. Certain off the shelf treatments are often recommended by doctors to encourage new hair growth and stop future hair loss. Why Choose Nu Cosmetic Clinic? Nu Cosmetic Clinic surgeons have the expertise to offer Unshaven FUE (UFUE) and treat Afro Caribbean or Asian hair loss, as well as eyebrows, eye lash, beard and facial hair transplant apart from PRP and mesotherapy treatment for hair loss or thinning. 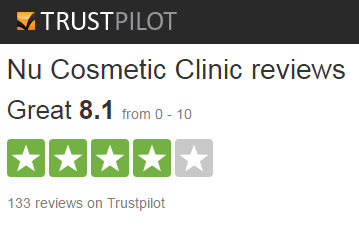 Very happy with Dr Dutta and the team of the clinic for the Hair transplant procedure. Already looking good and hopefully will be long lasting 🙂 Painfree and I look 10 years younger. Dr Kunnure is a certified doctor and a member of the British Association of Hair Restoration Surgeons. He is also a member of the International Society of Hair Restoration Surgery (ISHRS). Dr. Kunnure has extensive experience while working with NHS for 16 years in various capacities. He has a keen interest in Hair transplantation, and he has done Hair Transplant Training in the US and regularly attends international conferences in the United States, Europe and India.